Do your kids get "Summer Packets" from school? These packets are intended to keep kids' skills sharp during the summer slump. Research indicates that kids can lose 2 months of grade level equivalency in math computation skills over summer vacation. 2 months - that's a lot. One way to combat that slump is to keep learning through the summer months, but let's face it, no one wants to feel like they are in school over summer vacation. That's why we have to employ some fun ideas and strategies to keep learning going, but make it fun. We have a pretty great reading strategy for the summer already, but ee received a pair of Bedtime Math books to review, and it dawned on me that these are the perfect antidote for summer math slide for BOTH the kids. These books have activities for all ages - but don't have listed ages - they refer to the challenges as for "Wee Ones", "Little Kids" and "Big Kids". 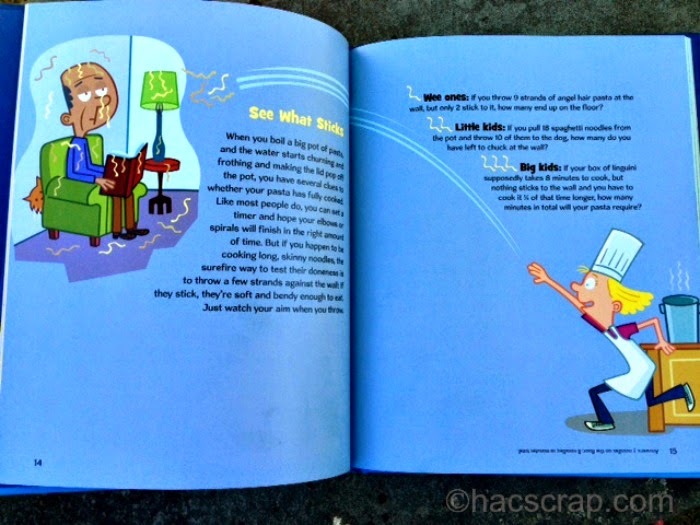 The second book, includes a bonus question for each challenge. Oh and don't let the name fool you - you can play these math games any time of the day! And if you need help with your own math skills, the answers are on the pages (tiny print and upside down). 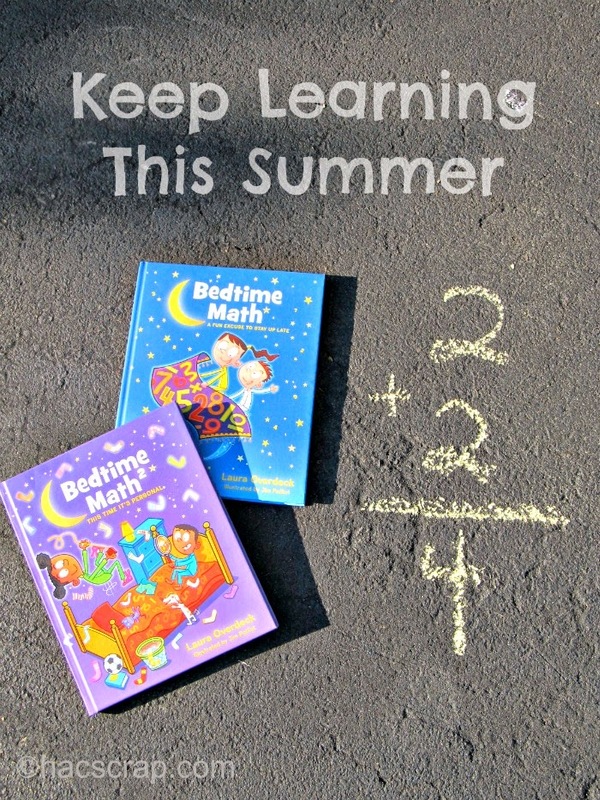 What do you do to keep your kids learning over the summer break? This post contains affiliate links - thank you for your support of this website.